Our pocket sized polished Pewter Hip Flask is made in England and is available in 2 sizes of 4oz and 6oz. 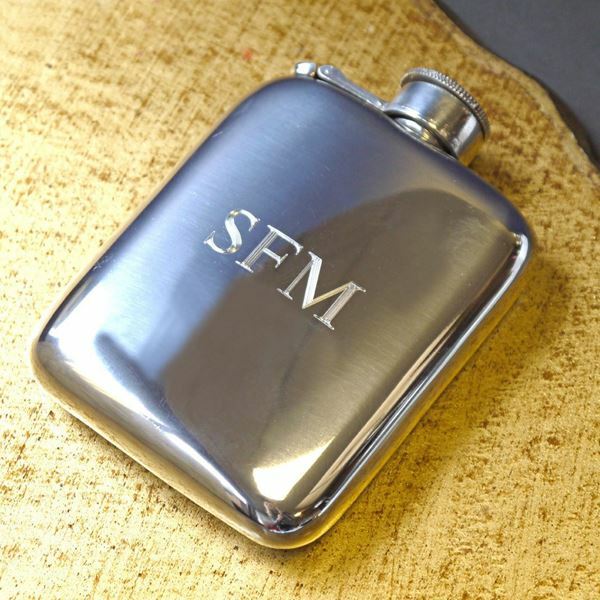 The flask can also be engraved with initials or a message. The ideal accessory for any sporting event, filled with your favourite tipple! 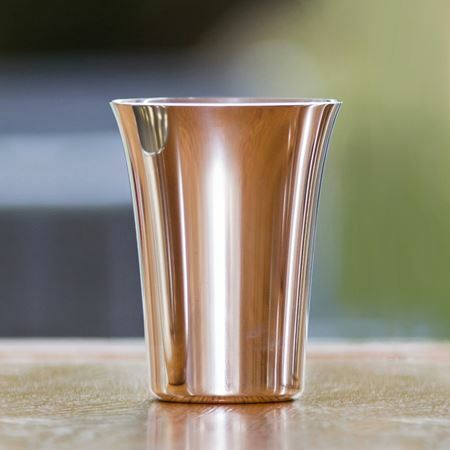 Beautiful flared pewter water beaker with smooth finish, standing 10.5cm high. Looks stunning plain and even better engraved with a large single initial. If you are interested in an engraved logo or a long message, please contact our sales team on 01892 752211 or email sales@inkerman.co.uk. We recommend that these beakers are hand washed rather than cleaned in a dishwasher. 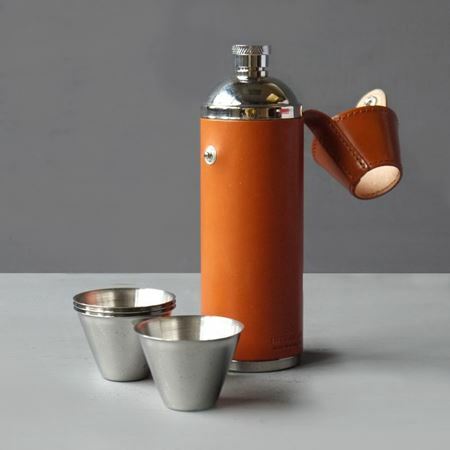 Made with fabulous new leather colours this flask, beautifully handmade in Birmingham England, makes a really memorable present for men and women. The 6oz hip flask is made from stainless steel and covered in a top grade smooth leather in a variety of colours. Perfect for 18th & 21st Birthdays, Christenings & Confirmations. This flask looks lovely engraved on the shoulder with names, dates and/or initials.